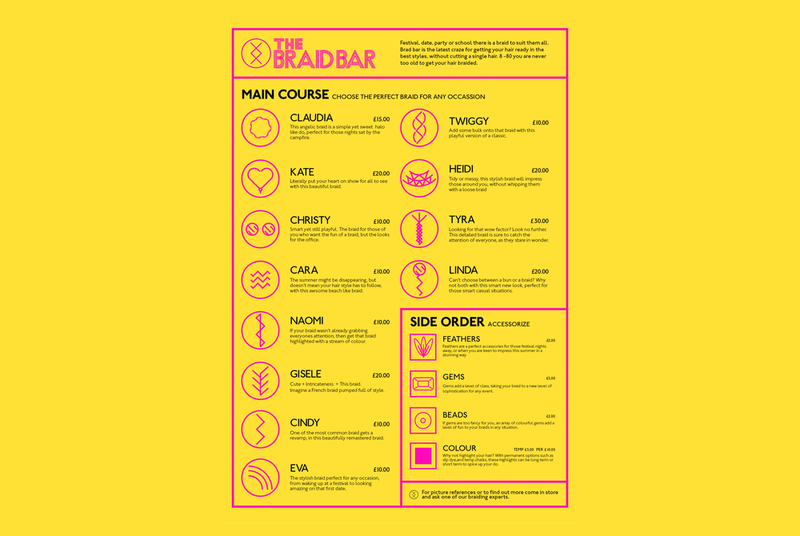 Branding project for the upcoming concession The Braid Bar. Creative director Jenny Dyson came up with the idea of creating simple motifs in a graphic form that relate to different braid shapes. This formed the basis of the website homepage concept, the menus and the logo itself. The triple striped wording for the brand name also relates back to braiding. The result is a fresh take on how a hair service can become modern and fun.